Adjustable speed: 0,1 sec - 10 min. 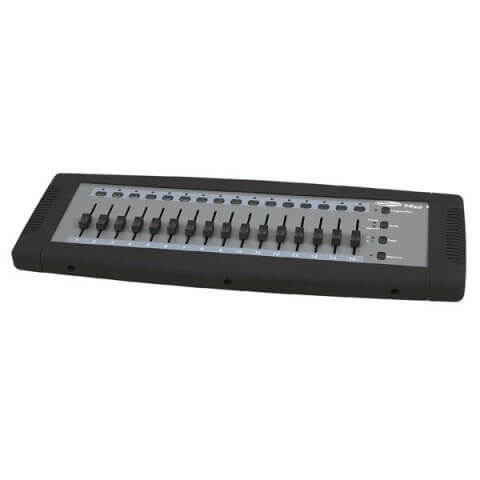 This unit is a 32 channel programmable DMX controller. It is possible to program 12 scenes. Furthermore there is a built-in chase, adjustable speed, chase direction and fade time. This light controller is the best solution for small light shows or test set-ups.